Super glue is a common product in many homeowners' toolboxes. Super glue helps fix broken objects in your home, including sterling silver. If your sterling silver is valuable, take it to a professional to repair it. Otherwise, prepare the broken pieces so that you can fix the sterling silver. Repair sterling silverware with super glue. Mix a few drops of liquid dish soap with 1 cup lukewarm water. Mix until the water is soapy. 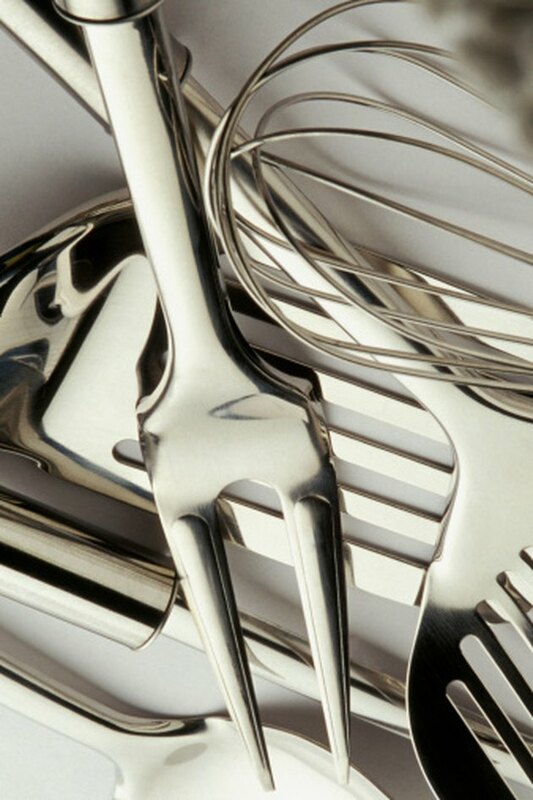 Dip a scrubbing brush into the soapy water and scrub the entire piece of sterling silver until it is completely clean. Rinse the silver with clear water and let it air dry completely. This is essential to making sure the super glue adheres well. Apply one drop of super glue to the broken edge of the sterling silver. Press the two pieces of sterling silver together. Hold the pieces together for at least two minutes until the super glue takes its initial hold. Soak a clean cloth in clear water. Rub the cloth over the super glue residue that may have squeezed out from between the broken pieces of sterling silver. This will prevent it from drying and hardening on the sterling silver as a stain. Let the sterling silver sit for several hours or days until it dries completely.